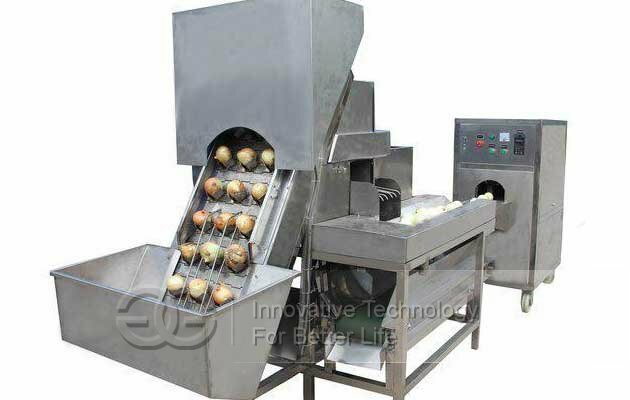 GG-YB-1-2 onion peeling and root cutting machine is the most advanced large-capacity onion processing equipment, This machine on the onin size , wet and dry, origin, etc. no special requirements. 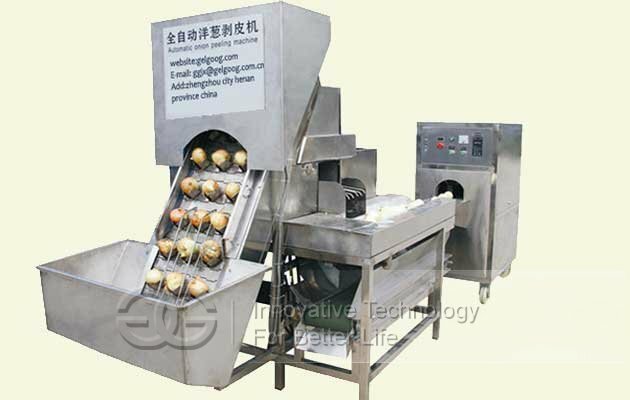 1, Onions do not need size, dry and wet, origin is not limited, can be peeling & cut root. 2, Can control the thickness of skinning.